Welcome the natural beauty of the English countryside into your home with this Reed shallow fine bone china bowl 14.5 cm. Serve your morning cereal in this beautiful fine bone china bowl and bring traditional English craftsmanship to your breakfast table. Bring the natural beauty of the English countryside into your home with this Reed shallow fine bone china bowl 14.5 cm, which is ideal for enjoying your morning breakfast cereal. 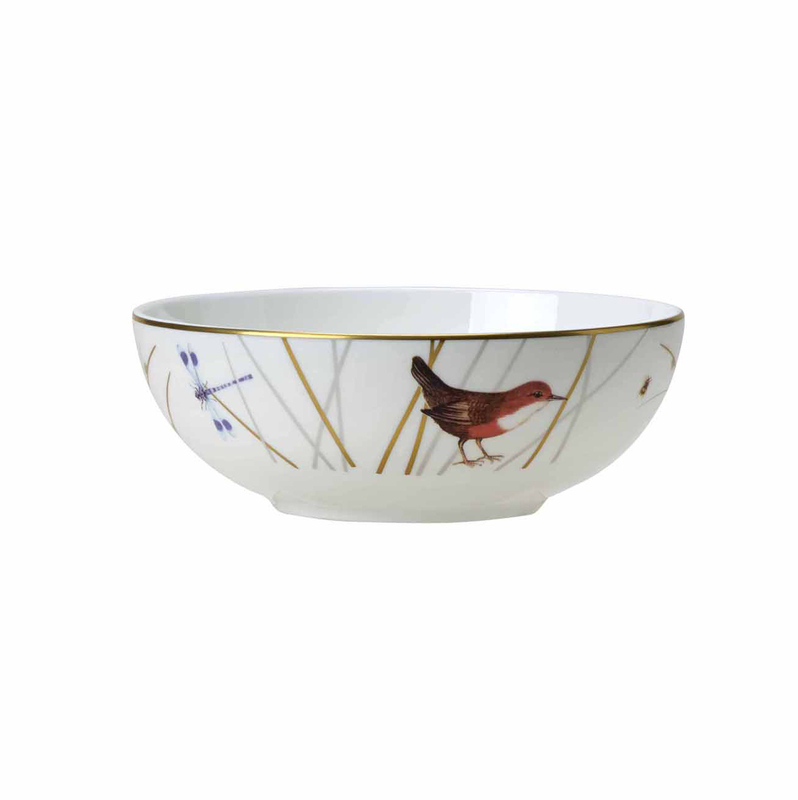 Adorned with hand painted illustrations of iconic British birds, this fine bone china bowl showcases the artisan craftsmanship found in the English potteries.